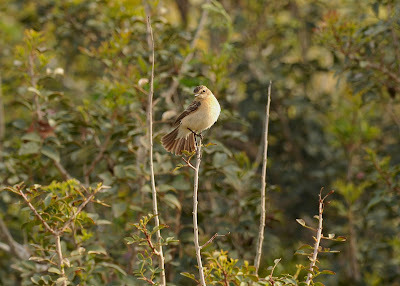 The lull in birding in the county has prompted me to browse my "library" of images. I found these photos of previously unpublished chats. I took them in Spring and thus they are all in pristine adult plumage. 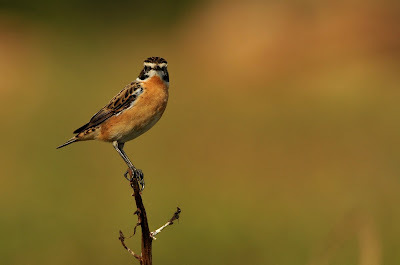 The adult Whinchat is a male whilst the Woodchat and Siberian Stonechat are females. 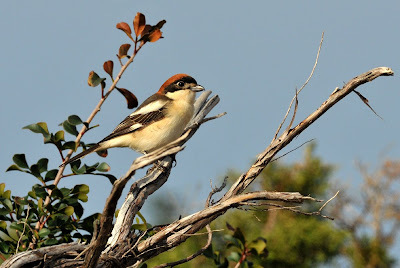 The Woodchat below can be sexed as a female by the extensive white feathering on the lores and behind the eye. 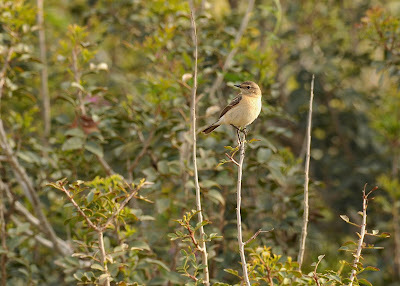 Siberian Stonechats are scarce passage migrants through Cyprus. 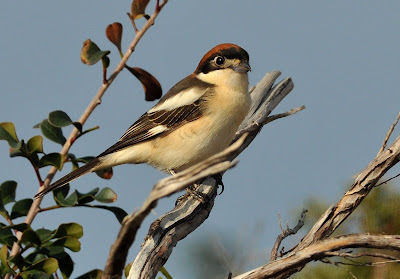 They also winter here but perhaps surprisingly, this is the first record for me on the island. 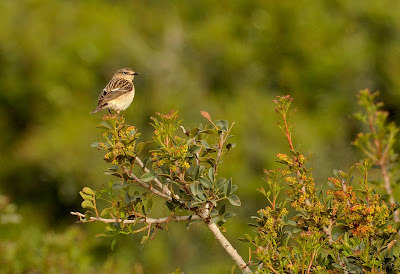 They are fairly straight forward to identify looking like a cross between Stonechat and Whinchat with an obvious pale rump. 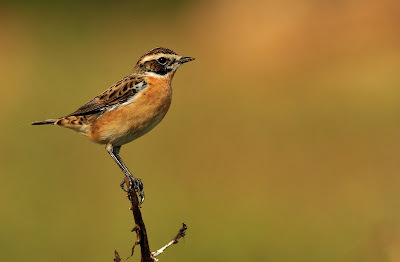 All the photo's are excellent Steve, I specifically like the the whinchat.